About: Banksy started as a freehand graffiti artist in the 90’s as one of Bristol’s DryBreadZ Crew, inspired by the city’s wide underground scene. Often referencing to the works of French graffiti artist Blek Le Rat, in his early carrier he partnered-up with Inkie, another notable British street artist. He also includes anything found in the streets like street signs and other objects to convey his message by crafting beautiful street art installations. His artwork is often satirical and combines dark humor with graffiti and also spread messages across art, philosophy, and politics. Arguably the most controversial street artist in the world, Banksy has developed an entire art subculture devoted to his works. Banksy’s installations can impact any location at any given moment. His identity remains unknown, even after over 20 years of being involved with the graffiti scene. In Summer 2015, Banksy organized a temporary art project called Dismaland, a dystopian theme park built in the seaside resort town of Weston-super-Mare, in England. Prepared in secret, the project unveiled 10 new works by Banksy and the pieces from 58 other artists. In 2017 the artist opens an entire hotel in Israel “The Walled Off Hotel” in hope of bringing tourists and dialogue to West Bank city. Where you can see it: Banksy’s artwork has been seen across the world. His travels have included Australia, England, the United States, Israel, Jamaica, and Canada. 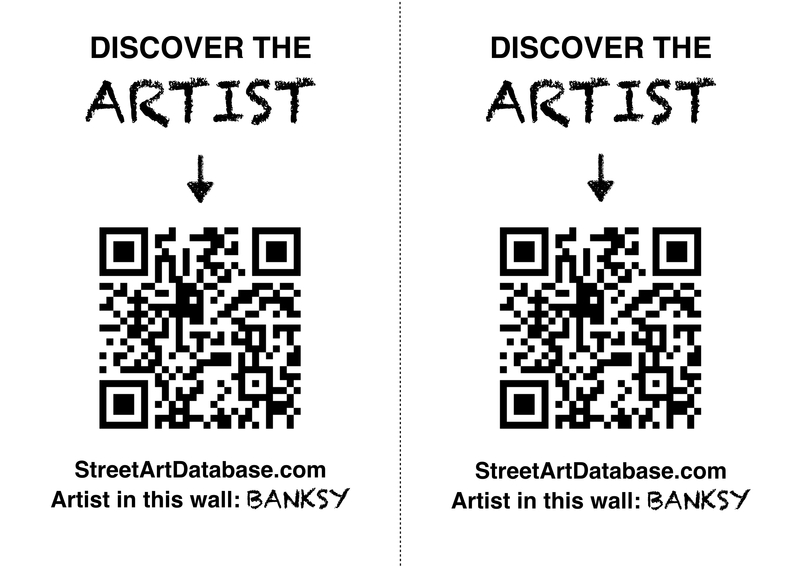 PRINT CODE: help tagging Banksy in the streets of your city! Posted in stencil, street installationTagged Banksy, graffiti, stencil, street artBookmark the permalink.